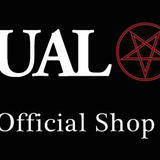 Welcome to SPIRITUAL BEAST official online shop! ※This shop cannot ship for Japan※ =Shopping Guide= <How to Purchase> 1. Select products and added to the cart. Products and shipping costs are all in Japanese Yen. Also this price will include 8% tax. 2. Open inside the cart and proceed for the payment. You can choose payment from credit card and paypal. 3. Shipping costs will be automatically calculated (by country) and send an confirmation and purchase tracking number from shop@spiritual-beast.com within 3 days from your order. *Attention* Please note that we do not accept any return / refund / exchange for our product(s). We only accept if any damage has occurred. If you have any support, please contact from Shop@spiritual-beast.com *Shipping* All the product(s) will have tracking number and the number will be included in the confirmation email. Shipping costs has been set by country and the amount for each purchase will be the same costs. i.e. You buy 1 CD => OO JPY (same as below) You buy 10 CD => OO JPY (same as above) Shipping costs: Australia – 2,700 JPY Austria – 3,000 JPY Belgium – 3,000 JPY Canada – 2,700 JPY China – 2,000 JPY Denmark – 3,000 JPY Finland – 3,000 JPY France – 3,000 JPY Germany – 3,000 JPY Greece – 3,000 JPY Hong Kong – 2,000 JPY Hungary – 3,000 JPY Indonesia – 2,000 JPY Ireland – 3,000 JPY Italy – 3,000 JPY Korea – 2,000 JPY Malaysia – 2,000 JPY Mexico – 2,700 JPY Netherlands – 3,000 JPY New Zealand – 2,700 JPY Norway – 3,000 JPY Philippines – 2,000 JPY Poland – 3,000 JPY Russia – 3,000 JPY Spain – 3,000 JPY Sweden – 3,000 JPY Switzerland – 3,000 JPY Taiwan – 2,000 JPY Thailand – 2,000 JPY Turkey – 2,700 JPY UK – 3,000 JPY USA – 2,700 JPY Other Country – 4,000 JPY Please note depending on the country of residence, some countries may not be able to ship due to international situation. If you need support for the other shipping options, feel free to contact us. Shipping fee does not include custom fee for each country. If you have these charges on your package by the time of receiving the products, please pay the this fee on your own. 《Email registration》 Automatic confirmation will be sent if you order from the website. Please note if you could not receive any email confirmation from us, it may be in the spam folder. Please check spam folder if you could not receive our email in your inbox. If you need any help, please contact us from the contact form.